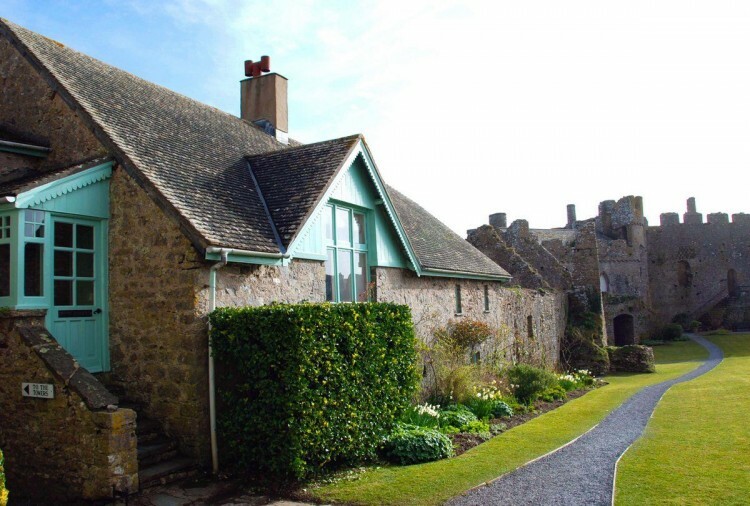 Manorbier Castle Holiday Home is a special holiday cottage in Wales. 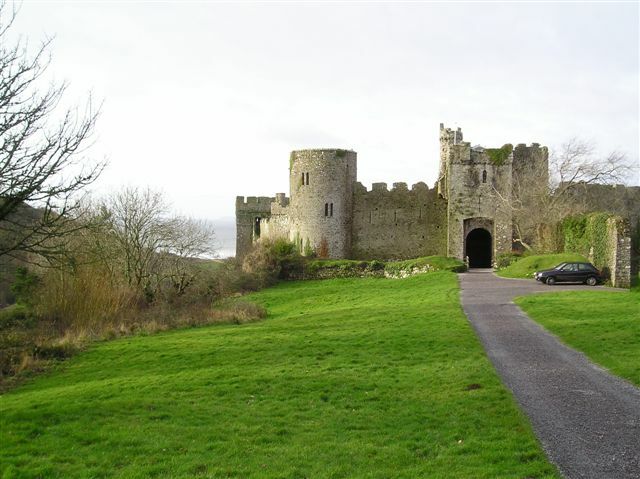 Manorbier is a mediaeval walled castle, some nine hundred years old. Once through the outer bailey, you pick up the keys to the great gate of the inner bailey and to the house built against the walls. 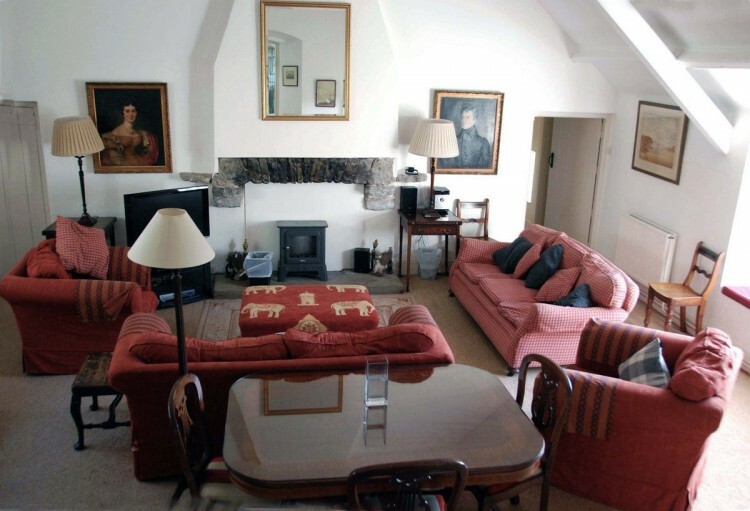 The entrance is up steps to a large sitting room, looking over the bailey. This room has good quality furniture, high ceilings, and long window seats. TV and video. The open fire can not be used. 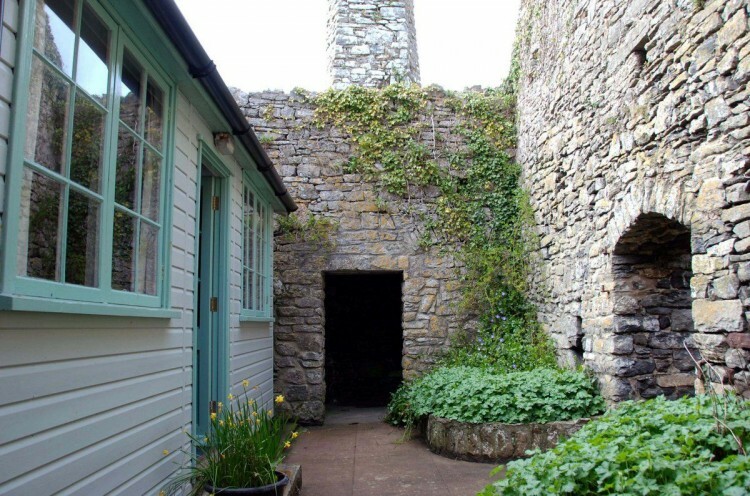 A flying walkway leads to a room with king sized double bed in the mediaeval gatehouse, with its own shower room and a WC in the thickness of the old walls. 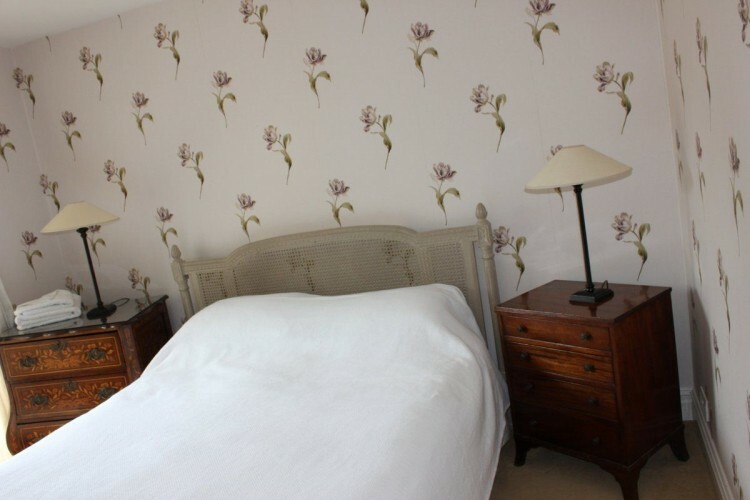 At the other end of the sitting room are two pretty, newly redecorated bedrooms, and two new bathrooms, one en suite. One has twin beds, the other a double bed. 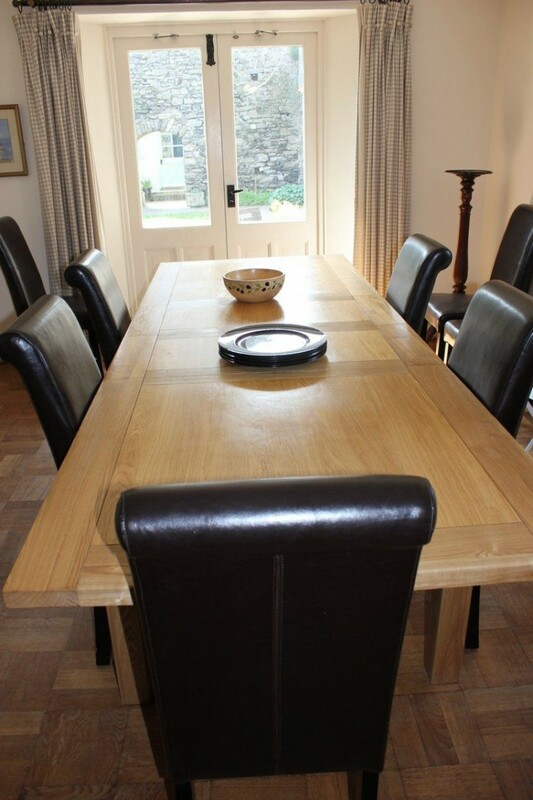 Stairs go up to an attic twin bedded room or down to the dining room, with a fine table (seats 12). French windows lead to a private high walled garden with the chalet placed within high walls at the end. 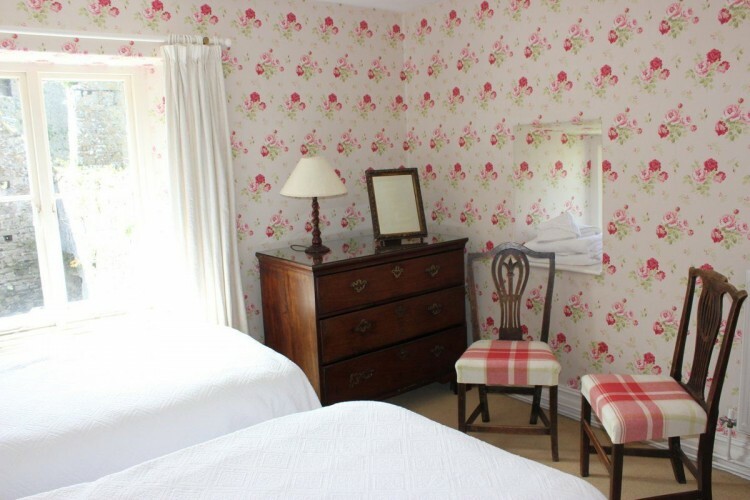 The chalet has twin beds, bunks, and shower room and electric heating. The kitchen has a vinyl floor, modern units, and breakfast table. Electric range style cooker, microwave, two fridges, freezer, dishwasher. The utility has a sink, washing machine, drier and WC and door to the garden. Oil fired central heating. 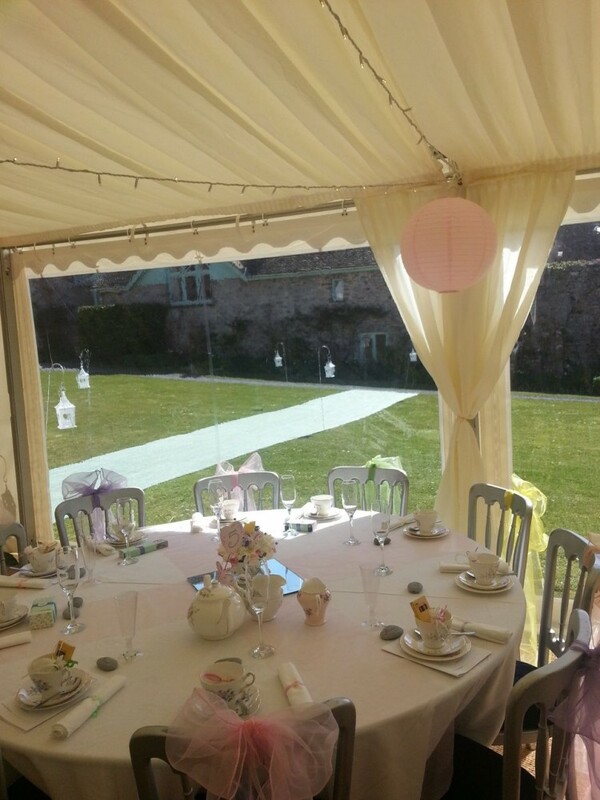 Patio area and garden furniture. Since there are walls and towers, children should be supervised outside the house. Cot and high chair available. Private catering possible and we can provide details of a really good cook, if you would be interested. Dogs allowed by arrangement. The house and garden make a fascinating and private retreat within the great castle, hidden from seasonal castle visitors. 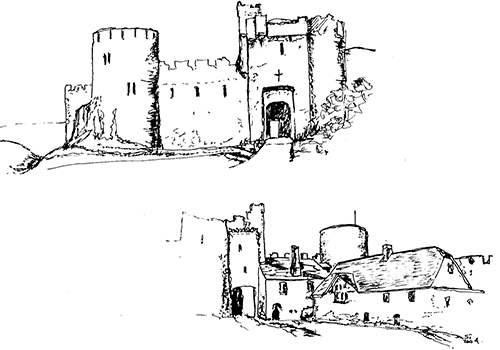 Many books have been written on Manorbier and there are many websites full of pictures. Perhaps the most succinct comment is from the 12th century: “The most pleasant place in all the broadlands of Wales.” It really is difficult to know where to start. Although it is open during the day to visitors from Easter to October, the house and garden are private. The inner bailey has flowers and shrub beds against the old vaulted chapel, keep, towers and well preserved walls. 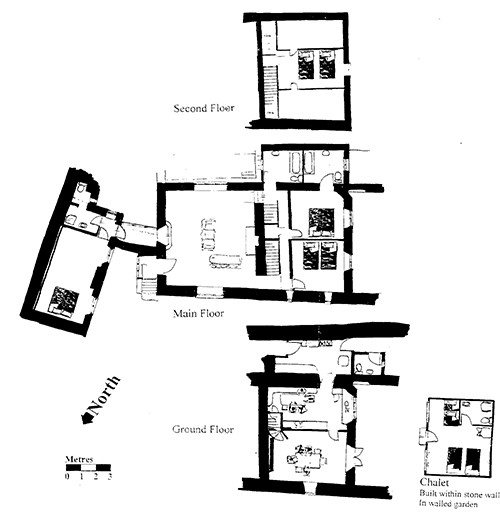 The house is partly within 12th century rooms and partly on and of old structures altered in the 17th and 19th centuries, and so is of different levels, with its own courtyard garden. There is nothing quite like shutting yourself in the whole castle, wandering amongst the walls, climbing the towers and knowing you have the whole place to yourself. 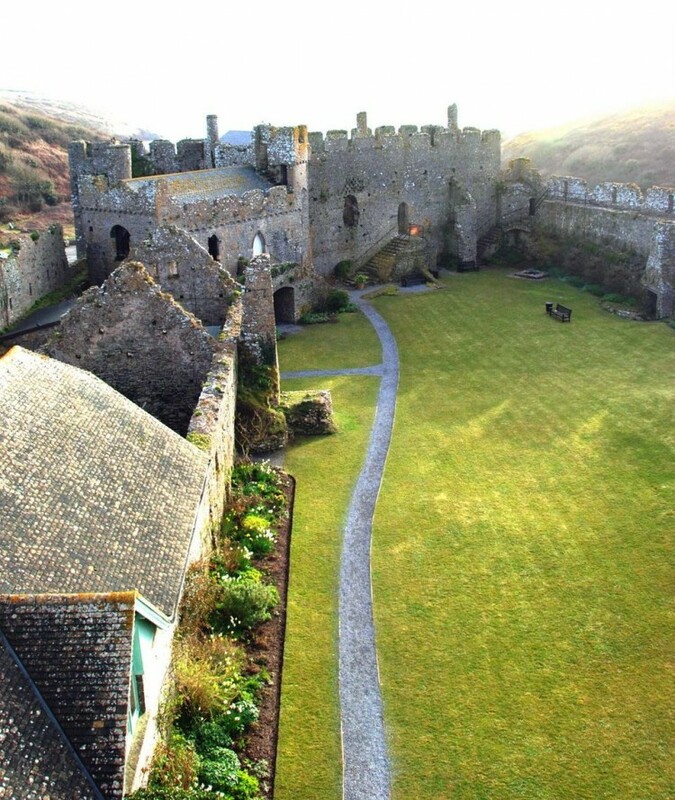 Manorbier is romantic, fascinating and beautiful. This has long been an admired and unique holiday house. 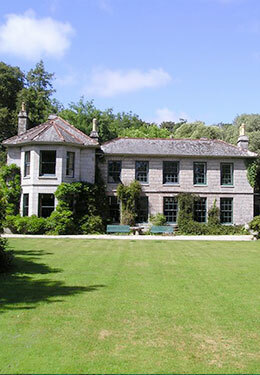 Now further improved, it must be one of the most exceptional and wonderful places to stay in all Britain. 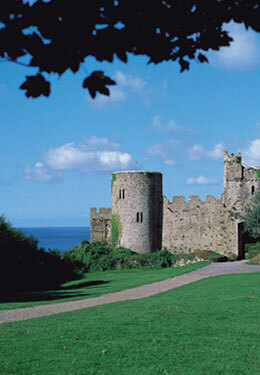 One of few private castles available for letting, it is at the mouth of a wild valley by the sea in Pembrokeshire, Wales. Across the way is the isolated old church and beyond the outer bailey is the village. This has a shop and the Castle Arms pub with fire and good beer. A nearby small hotel has a good restaurant. 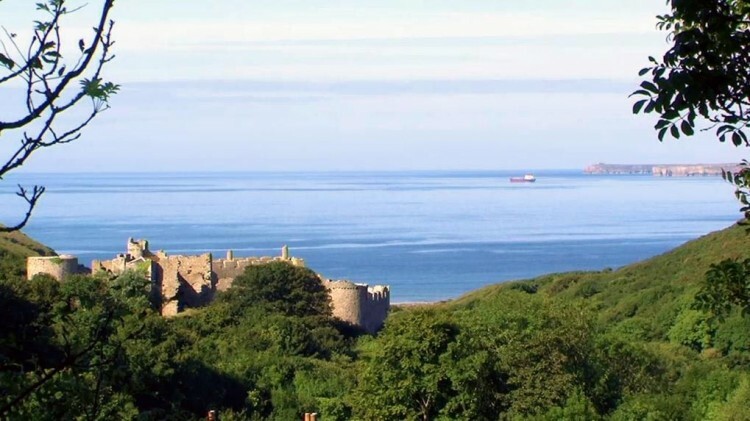 This magnificent section of coast has cliff walks and a sandy beach a hundred yards below the castle. 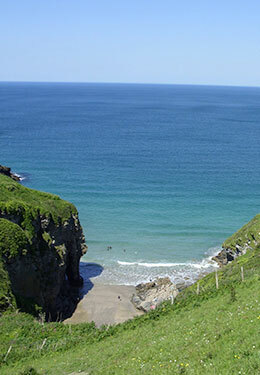 The seaside town of Tenby is a few miles east, and Pembroke a few miles west. There is a lot to see and do in the area, but most will want to spend as much time as possible in the castle. online blackjack games . For instance, you can buy likes on Instagram cheap to boost users engagement levels. . Look pornjk pornjk.